New "S" bend side frame provides maximum space for the patient to fit between the arm rests. Offers a safe working load of 200kg. 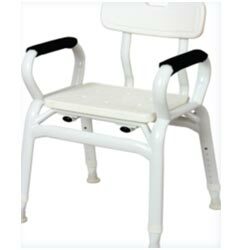 Suitable for home, hospitals, nursing homes and other institutional use.